Hello! Welcome to another school year at Arnold Elementary! I am so excited to be your child’s new teacher, and thought I’d explain a little about my life, and myself. 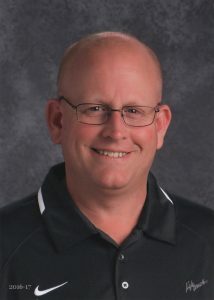 My name is Eric Wachter, and this will be my 20th year teaching at Arnold School. I am 47-years-old, divorced, and have no children. I was born and raised here in Lincoln, and am a product of Lincoln Public Schools. I was first a Merle Beattie Beaver, then an Irving Aardvark, and finally a graduate of Lincoln Southeast High School in 1989. From there, I went to the University of Nebraska, and earned a degree in broadcasting in 1994. However, it wasn’t long before I realized I wanted to work with children, and returned to school to earn my teaching certificate in 1999. Shortly thereafter, I was hired at Arnold, where I have taught ever since. I have always believed in lifelong learning, and was very proud to earn a Masters Degree in Curriculum and Instruction from UNK in 2010. Needless to say, public education and the state of Nebraska has been very good to me! I have always had the privilege of teaching 2nd and 3rd graders, and just adore that age of children. I have taught 2nd/3rd multiage, 2nd/3rd looping, and this year will make 13 straight years of teaching 3rd grade. I must say, 3rd grade is my favorite age, so I couldn’t be happier in my current assignment. I am very excited for the upcoming school year, and can’t wait to see your children. I absolutely love the process of getting to know them, watching them grow and learn, and then sending them on to new adventures. I actually get a little depressed (for real!) when school is over each year, because I become so attached to your kids. Luckily for me, June is a looooong time from now. I believe very strongly in education. I tell students all the time that their education is their “key,” and can open doors for them the rest of their lives. I believe in a triangle, or pyramid of success, made up of parents, students and myself. One of us cannot do it alone. However, I am convinced that if all three sides of the triangle are working together, a child can achieve anything. This year will be an important time of growth in the young lives of your children. It was only a year or two ago they were just learning the routine of school, and it will only be a year or two before they will become very independent students. I will do everything I can to help your child grow and succeed on their journey through school. Speaking of their journey…you needn’t worry about supplies. I would recommend a good backpack, but I will provide anything they could possibly need during the school day. Markers, pencils, pencil boxes, folders…anything you can think of, I will gladly provide. Just send your child to school with a smile each day, and I will take care of the rest! I hope this gives you an idea of who I am, and what type of environment your child will be learning in this year. I hope and pray you will feel confident when you drop your child off each day, he/she is in good hands, will be safe, and have every opportunity to learn. Thanks for reading this letter, and thank you for giving me the opportunity to be your child’s teacher!